The only peonies I have mentioned so far this year have been the Itoh peonies, crosses between tree peonies and herbaceous peonies. 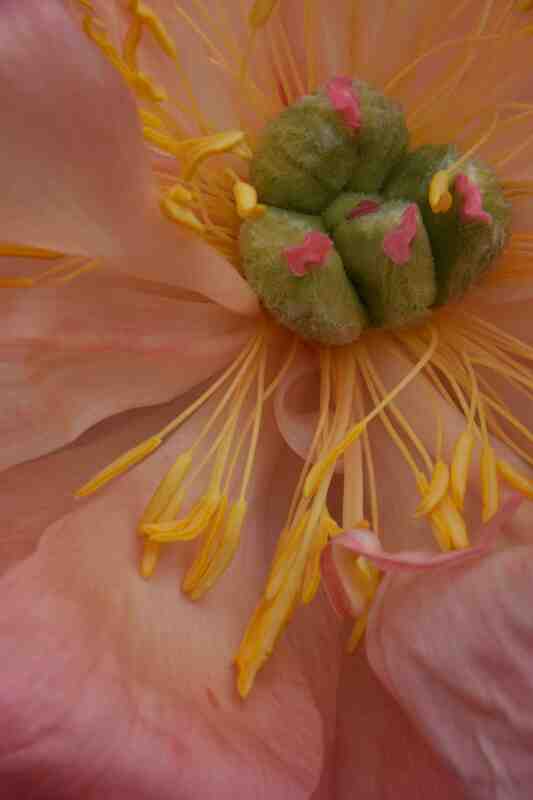 So here is something different; the first of the herbaceous peonies to bloom. This beauty is ‘Coral Sunset’. 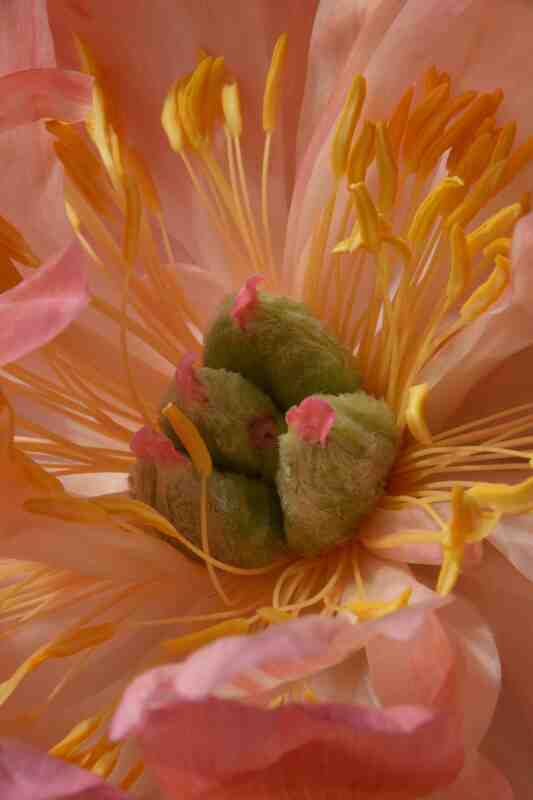 There are not many peonies with this unusual colouring and the few there are all seem rather similar. 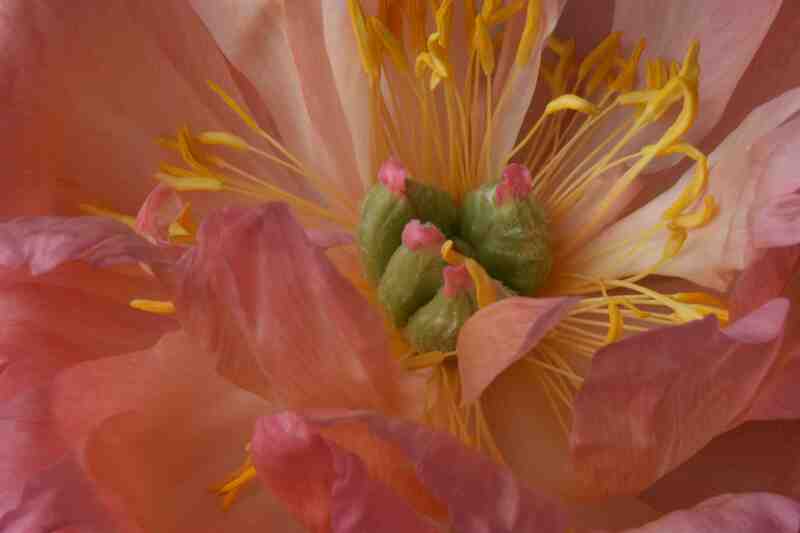 This may not be the best since it is one of the oldest, but it is still quite modern by peony standards when most of those commonly sold are a century old or more. 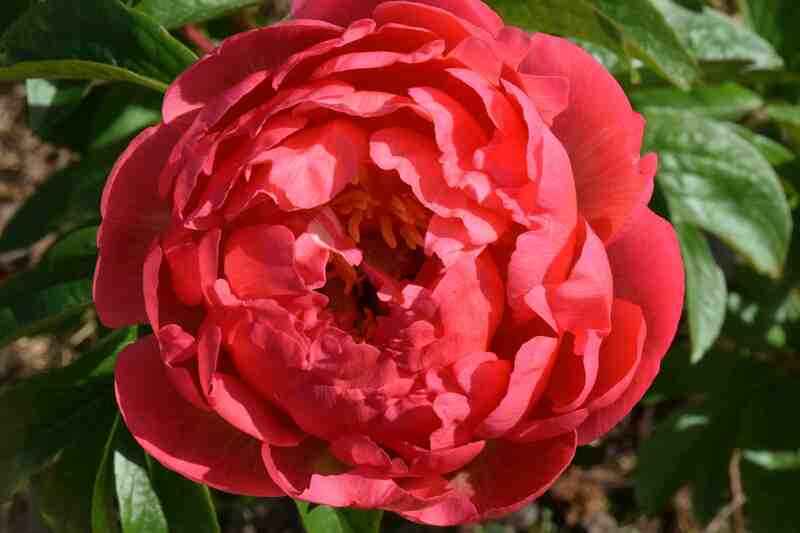 ‘Coral Sunset’ was introduced in 1965 (Wissing) and has tall, upright stems although they do, like so many herbaceous peonies, lean or even flop when the flowers are open. Staking is more or less essential. ‘Coral Charm’ is newer and similar. The flowers soon fade and four days later are a pastel confection of salmon and shrimp pinks – maybe even coral! Whether part of the plant’s charm or a fault, I am not sure, but the flowers fade noticeably as they age. Personally I like this because the coral colour of the young flowers is a bit gaudy; I prefer them as they mature and take on a more subtle personality. Many layers of beautiful petals open to reveal cute, furry ovaries tipped with matching, coral styles and a ring of floppy, golden stamens.